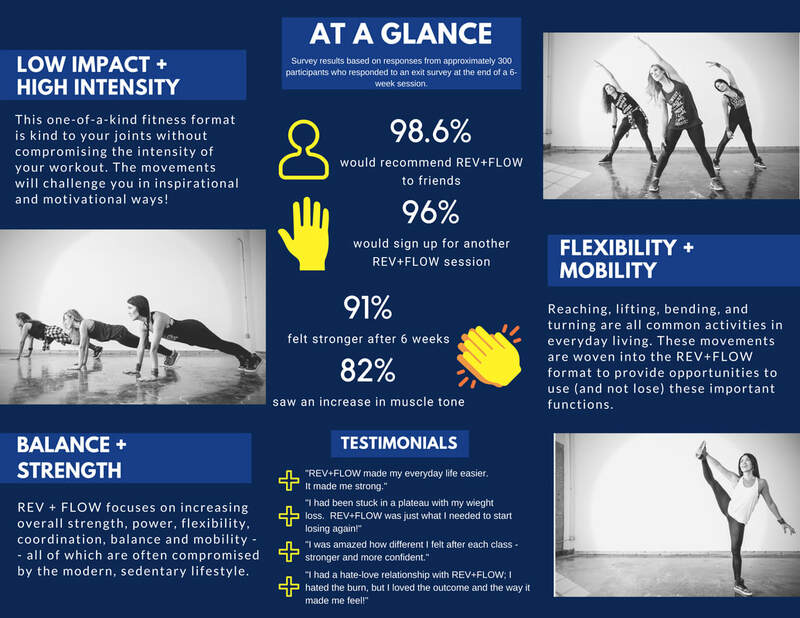 REV+FLOW by REFIT® is a high intensity, low impact workout designed for everyone. Although it is movement to music, this is not a cardio dance class. Movements are slower, easy to follow and highly modifiable whether higher or lower intensity is needed. This is REV+FLOW's inaugural year and we are happy to say we are two of only a handful of instructors certified to teach in the state of California! Come join us for a REV+FLOW class! ​Check back weekly for our schedule which is listed below...we will be rotating REV+FLOW every week to different days to give access to everyone. Classes are always free so come try out the new REV+FLOW! Bring your floor mat! Hope to see you all on the dance floor soon!